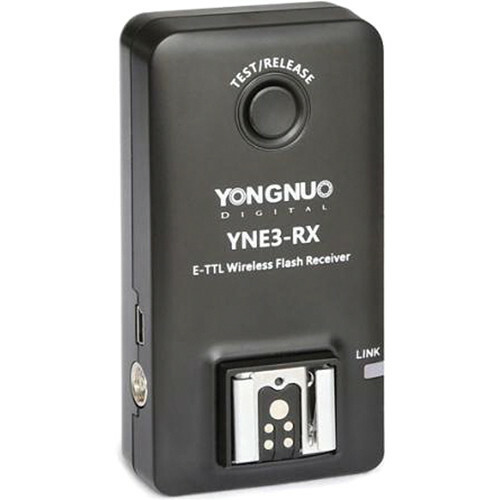 Remotely trigger your compatible E-TTL flash with this Yongnuo YNE3-RX Wireless Flash Receiver for Canon Speedlites and Yongnuo Flash and Transmitters. 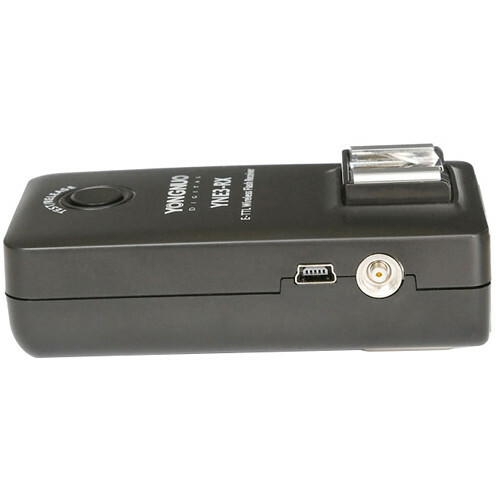 The receiver has a 1/4"-20 female mounting thread, a female hot shoe, and USB port for firmware upgrades. Operating on the 2.4 GHz frequency, the receiver has 15 channels to thwart interference and can wirelessly trigger flash units in any of its 5 groups singly or in unison at distances up to 328'. 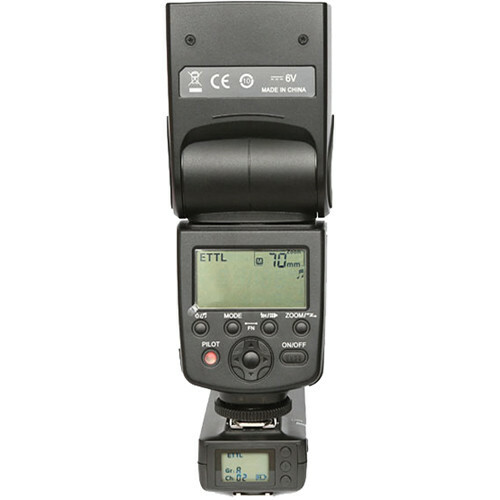 The user-friendly LCD screen allows monitoring of channel and groups in use, battery level and +/- flash exposure compensation. 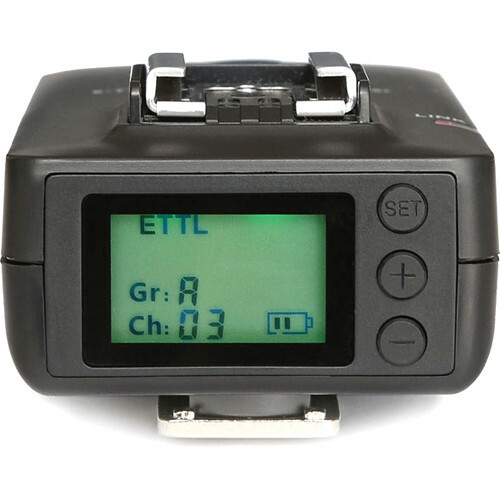 It also indicates E-TTL, Manual or Multi (stroboscopic) flash mode selection. The YNE3-RX runs for a total of 24 hours on 2 separately purchased AA batteries. Box Dimensions (LxWxH) 4.252 x 3.228 x 2.284"